Stephen Duckworth, Clariant Plastics and Coatings, uses his expertise in healthcare polymer solutions to explain why plastic component design options begin with a secure supply chain. As the medical device industry continues to grow, device developers face a double challenge. Develop products that are functional, compliant and easy to manage for medical professionals in clinical settings, but they also need to keep consumers/patients in mind. These users select and rely on these products to monitor health status, manage chronic conditions, and dispense medications at home, in the workplace, or on the go, and they want devices that are attractive and easy to use. Managing the materials and supply chains that are fundamental to meeting these two demands may be likened to threading a needle—or more appropriately—a series of needles. First, there are regulatory challenges, where authorities such as the US FDA, the EU, and others, require detailed information on material composition, manufacturing processes, and extensive supporting data with respect to physical and mechanical properties of every proposed device. They become increasing vigilant on ‘changes’ between a new device and one already on the market, and it is here that materials used often are subject of regulatory challenges. 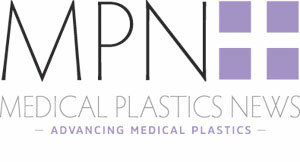 Next, plastics for medical devices must not only deliver critical performance properties – resistance to different types of sterilisation, chemicals and lipids, they also must meet strict standards for biocompatibility and toxicity. Once these materials are properly documented, device manufacturers can use them in their designs and products with the confidence that they will meet regulatory and application requirements. However, the documentation is a point-of-time submission and is material- and formulation-specific. Any material or formulation change over the life-time of the product and at any point in a sometimes highly complex supply-chain, can invalidate previous approvals. So, beyond initial material selection, change control is also critical. As people live longer with chronic diseases including asthma, COPD, and diabetes, devices to self-administer medication – whether through inhalers, auto injectors and the like – are becoming the norm. Yet, the success of these treatments is heavily reliant on patient compliance. US studies show as little as 28% patient-adherence to prescribed treatment programs. Only high compliance can drive the kind of patient outcomes essential to justifying the perceived effectiveness and value of device brands among patients, prescribers, and insurance or payer entities. Developers looking for ways to make their devices more attractive and easier to use are creating standard ‘device platforms’ that can be customised with new colours, visual effects, or components that can signal new formulations, dosing options, or patient-convenience features. Any cues that trigger positive differences in user perception or response are important to reinforcing the value of a particular brand or helping patients feel comfortable about using it – a factor in increased compliance. Just about any colour imaginable can be developed for medical devices and there is a huge palette of ‘standard’ colours with documented compliance to regulatory standards available and change control policies already in place. In terms of visual appeal, users may also respond to special effects, which have been used along with colour for many years to enhance the look and market appeal of personal-care and consumer goods. When added to plastics, special effect pigments can impart unique appearance effects, such as pearlescence, sparkle, or a metallic look. Whilst these types of effects have been widely used in consumer packaging (e.g. : for shampoos), their use in healthcare has been restricted because of lack of regulatory information. It is only recently that testing has been completed to confirm that the ingredients in these new materials conform to medical and pharmaceutical norms. Lubricants that reduce surface friction between plastic components, such as those used in dial-dosing gauges and auto-injection actuators. When incorporated into device materials, such lubricants make it easier for medical personnel or patients themselves, to select and administer proper dosages. Stabilisers that protect certain polymers (such as polypropylene) against the loss of important mechanical properties when they are exposed to gamma or e-beam sterilisation. These same stabilisers can help reduce yellowing of devices caused by repeated sterilisation. Nucleating agents, which counteract the dimensional changes that can result with the use of different colors in a product material mix. Nucleating agents affect how polymers harden during processing and can help to prevent product warping due to differential shrinkage. They can also help to speed up process cycles or reduce component weight, which reduces cost. Clarifying agents are particular types of nucleating agents that enhance the clarity and optical properties of transparent plastic components. Anti-static agents, which reduce or eliminate the buildup of static electricity on component surfaces. Radiopaque fillers that make plastic diagnostic or surgical devices, such as catheters, more visible to X-rays. Yet another class of additives is taking on increased importance with the phase-in of Unique Device Identification (UDI) serialisation programs in the United States and Europe. These regulations will require that, by 2020, UDIs be placed on medical device labels, on packages and on all medical devices intended for reprocessing and multiple use. Permanent device labels must include the UDI in human-and machine-readable forms. Today, laser-marking is ideal for implementing UDI part marking due to its speed, economy, and ability to support variable data essential for serialising even small parts and /or complex geometries. But many plastics are transparent to laser energy, making effective laser part marking very difficult. For this reason, demand for laser-friendly additives, additives that make plastics more receptive to laser marking, is rising rapidly. Fortunately, there is a growing number of laser-friendly additives becoming available with the biological evaluation and supporting regulatory documentation required for medical device and pharmaceutical packaging applications. The device traceability provided by UDI requirements will enhance patient safety. But protection against counterfeiting, which affects both consumable medical devices (insulin pens, inhalers, diagnostic tools, syringes, etc.) and high-value drugs will require additional steps. To date, the most effective means of combatting counterfeit products and protecting your own brand is to use multiple levels of security, typically involving both covert and visible coding on both devices and their outside. Incorporating a taggant – a covert ingredient – in the production of plastic components can provide immediate, incontrovertible proof that a device is genuine. Introduction of such an ingredient, however, will raise the same supply chain and change-control concerns as apply to any other additive or colourant. That is why Clariant recently teamed up with SICPA, a trusted provider of global security solutions. The two companies have launched the Plastiward system, which uses proprietary covert taggant additives (produced by SICPA) that are compounded into various polymers at one of Clariant’s ISO13485-certified plants. The taggants then become an integral part of the plastic product or packaging and are readily detectable using SICPA’s proven deployment and monitoring platform. Once the tagged product enters the supply stream, the SICPA monitoring system is able to identify them at any point from factory to pharmacy. As noted, a range of new colour, performance and functional options are available to device developers who use plastic components as long as they understand the regulatory complexities and manage the risks involved. For example, there is almost always a risk associated with even ‘routine’ changes in the supplier of product pigments or additives, even if the chemical type did not change. The key is in understanding where risk comes from and dealing with it early in the design process. To help the medical device and pharmaceutical packaging industries minimise their exposure to supply chain risks, Clariant Masterbatches reorganised its operations ten years ago, creating a network of three global manufacturing plants (one each in the USA, Europe, and Asia) and managing them under the ISO13485 quality system with change control protocols. This is important because, firstly, production of a medical device may be required in different regions or be transferred and secondly, back-up supply is normally a requirement. Next, it standardised raw materials in terms of chemistry and supplier. This involved the technical, product stewardship and supply chain functions that assess each raw material not only on performance characteristics, but on regulatory criteria including RoHS, REACh, and BSE/TSE, and whether the supply was available in each of the three sites. Each plant uses the same defined raw material ingredients, the same formula, and the same key product quality parameters. The measurements not only include typical tests such as color and physical properties, but also ISO 10993 part 18 extraction, biological evaluation (ISO10993 and USP parts 87, 88) and comparison to the chemical ‘fingerprint’ of a reference product. Approaches like these, which Clariant applies to the production and supply of both masterbatches (colour or additive concentrates that are diluted with polymer in the processing machine) and fully compounded resins, help to eliminate uncertainty in the global material supply chain. Medical device makers can therefore utilise the full range of colours, performance additives and functional ingredients in the form that best suits their product quality and manufacturing requirements. They are then able to deliver new, superior and fully compliant medical devices to market faster.